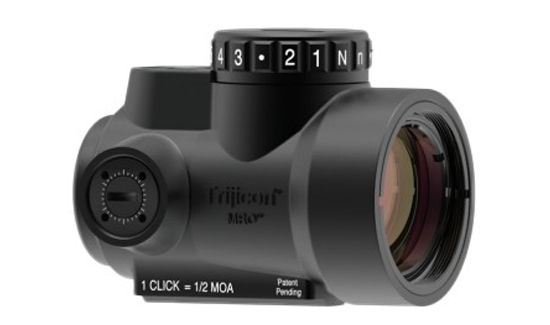 News of the Trijicon MRO leaked a few weeks ago, and you can pre-order yours now at OfficerStore.com. The MRO is all-American made from aircraft-grade aluminum – the housing is fully sealed and waterproof up to 30 meters – and features eight brightness settings with a mid-position “off” feature. This truly ambidextrous brightness dial can be adjusted by either right-or left-handed shooters without having to remove your hand from the fire control. The MRO uses a standard 2MOA red-dot reticule to level the sighting dot on the same plane as the target, eliminating the need for the operator to align the front and rear sights. The MRO is powered by a single lithium battery that offers five years of continuous use. Visit OfficerStore.com to pre-order yours today!